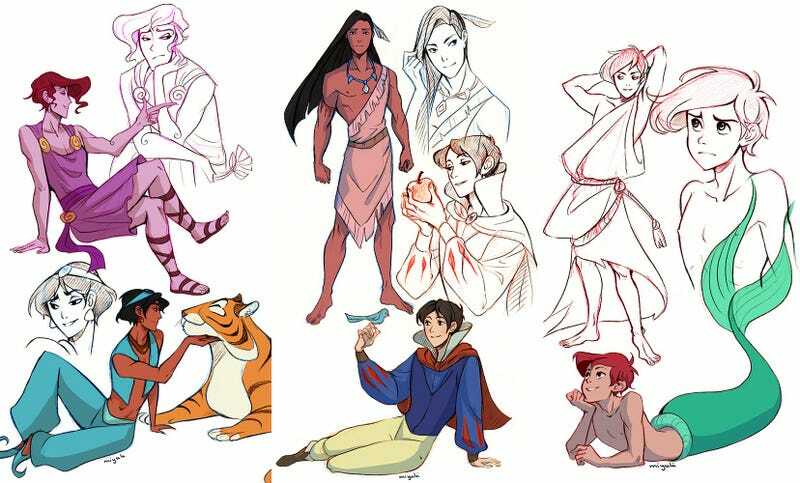 Animation student Miyuli decided to spend some time re-designing Disney princesses as their opposite gender. Now what needs to happen is a team up between these and the princesses in their princes' clothes. Come on, Internet! I have to say, I love the sassy male version of Megara and Jasmin's counterpart with Rajah. See the rest (and the entirely swapped Frozen characters) below.